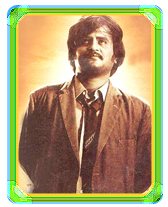 First Flim of Rajinkanth is Apoorva Raagangal is directed by K. BalaChander. Casts: Kamalahasan, Rajnikant, Sundarrajan, Nagesh. Srividya, Jayasudha. Prasanna (Kamal Haasan) is nursed back to health by a classical singer Bhairavi (Srividya) after a bloody fight. The two are slowly drawn to each other and they decide to marry in spite of their age gap, and a past relationship she is still inextricably tied to. In the meantime, Prasanna's father (Sundarrajan) embarks on a relationship with a younger girl Ranjini (Jayasudha). Both relationships arrive at a dilemma with the revelation of an unexpected twist - she is Bhairavi's daughter, and the appearance of Bhairavi's husband.